Happy Saturday friends! I hope y’all are having a great weekend so far. We are in LA right now and I can’t wait to show you where we’re going next. 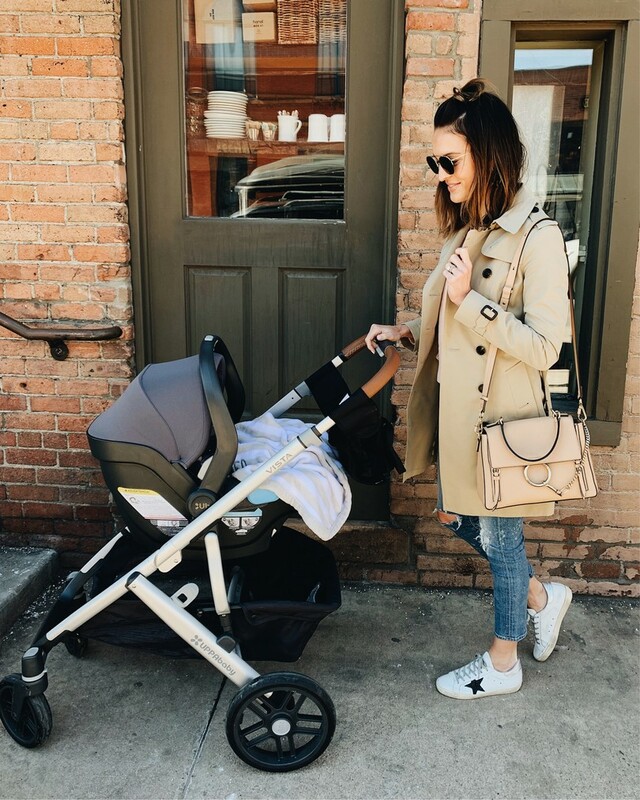 As always, today’s post has a full outfit recap from the last week along with the best weekend sales I’ve found! Thanks for checking out the post! 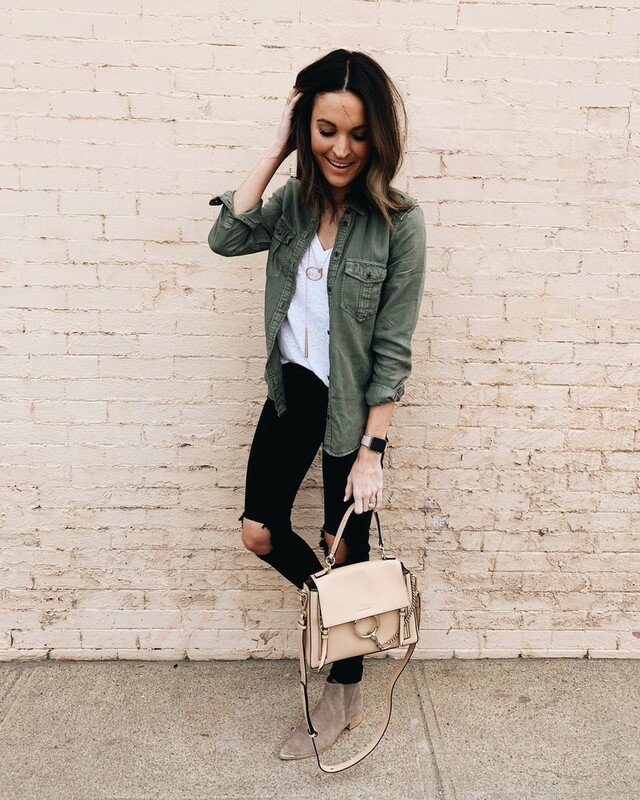 The perfect olive green utility top for spring and it’s under $45! This is my go-to white v-neck: it’s not see through and it has the perfect fit! 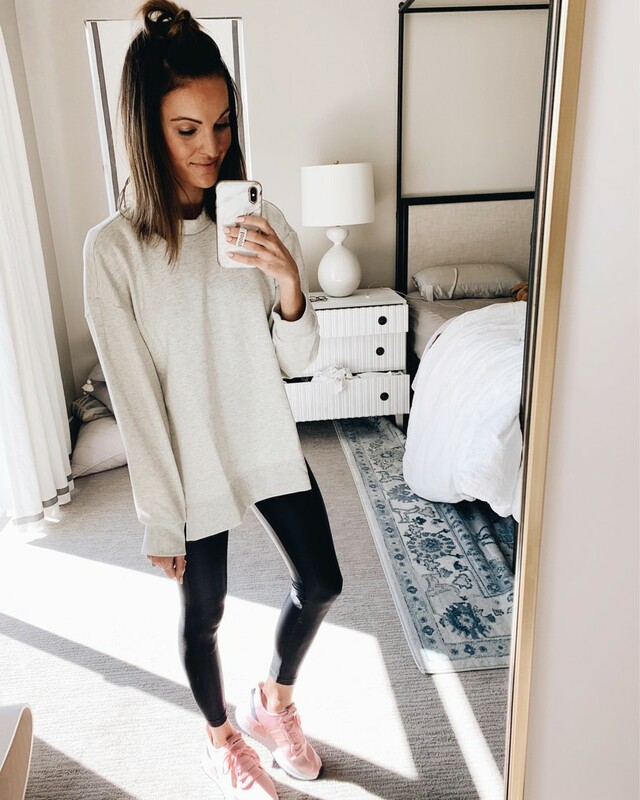 Love comfy sweatshirts like this for lounging around the house or a day full of running errands! These adidas kicks are SO comfortable and supportive, too! Can’t go wrong with a black + tan combo! Y’all know this suede jacket is one of my wardrobe staples. 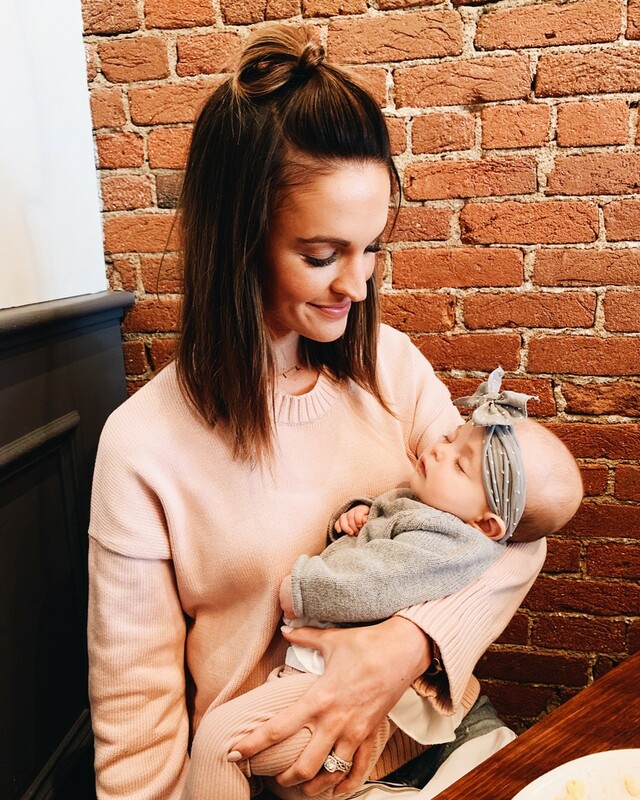 This black top is one of my go-to going out tops and it’s on sale for $31 right now! Perfect brunch with my girl! This blush sweater has the perfect fit and the quality is unreal. Definitely will be wearing it for years! Also, Shiloh’s outfit is from Jamie Kay Store! These jeans are easily some of my favorites! So flattering and insanely soft. This striped sweater is such a fun, colorful look for spring too! 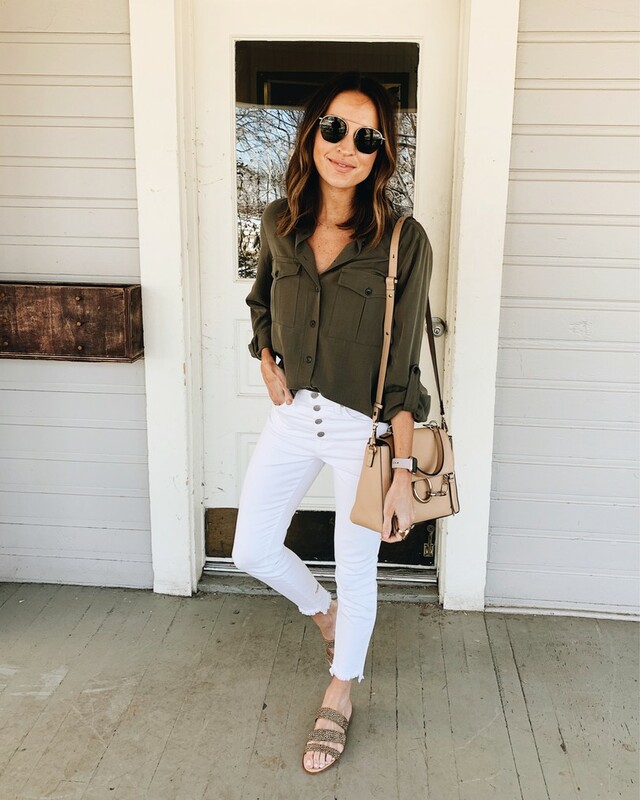 Obsessed with this olive + white combo for spring! 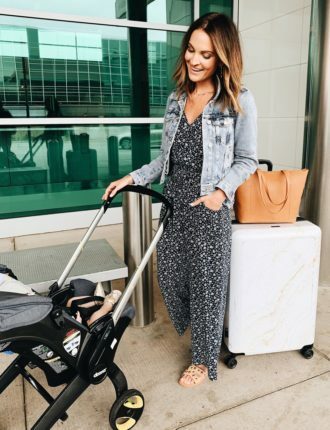 These slide sandals are such a great go-to for warmer days and they feel really good on my feet! These loafers are SO comfortable and will 100% be worn on repeat through spring + summer! This tee is only $20 and is the softest, best fitting casual crewneck ss top! This is the perfect lightweight trench coat for spring! 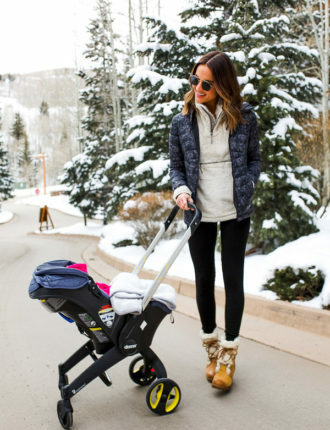 Also linking our stroller which we love (more details in this blog post). My favorite go-to outfit combo: a basic tee + flattering denim! 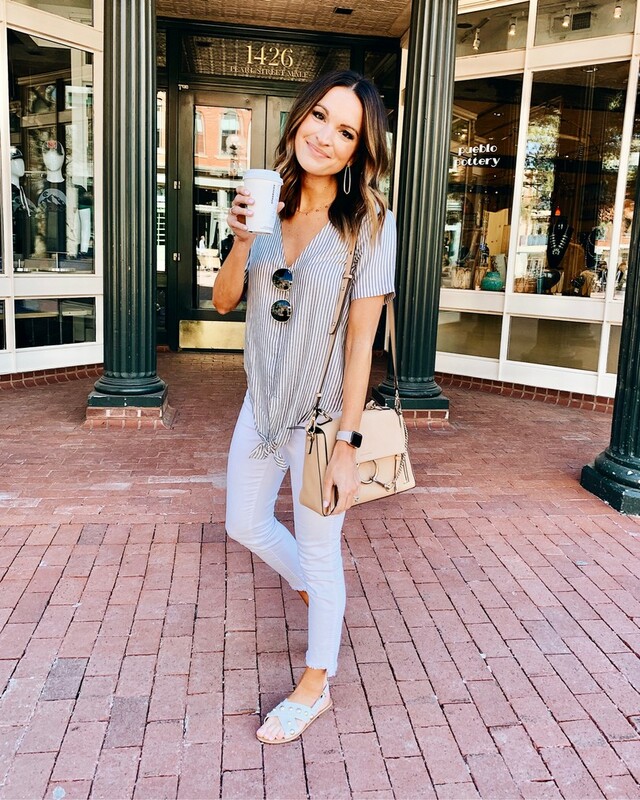 These jeans are under $100 and are the perfect causal denim! My favorite denim shorts (seriously, every girl needs these!) and a comfy $30 tank make for an easy spring/summer outfit! 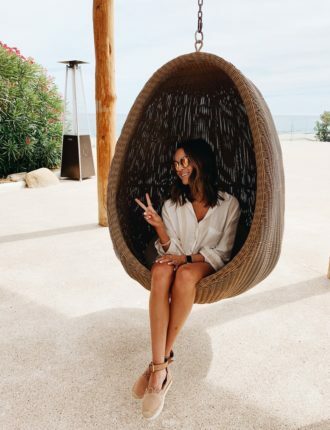 These sandals have also been on major repeat lately, and they’re under $100! 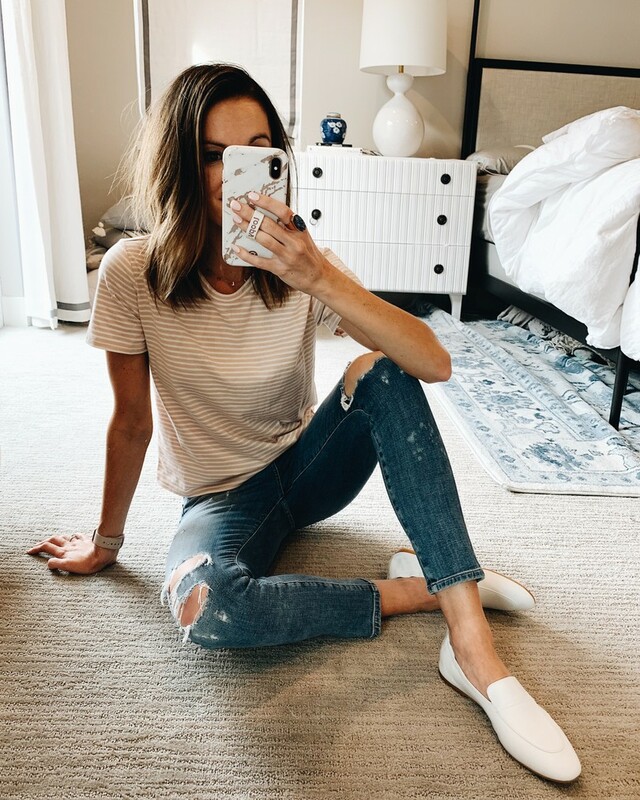 In love with this striped top + it’s currently on sale! 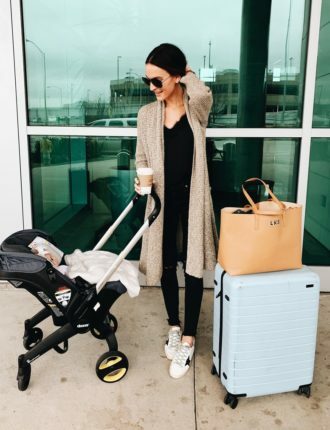 These white skinny jeans are always a wardrobe staple, especially this time of year. They’re also so flattering! So obsessed with this camo romper! It’s super comfy and makes for such an easy outfit! 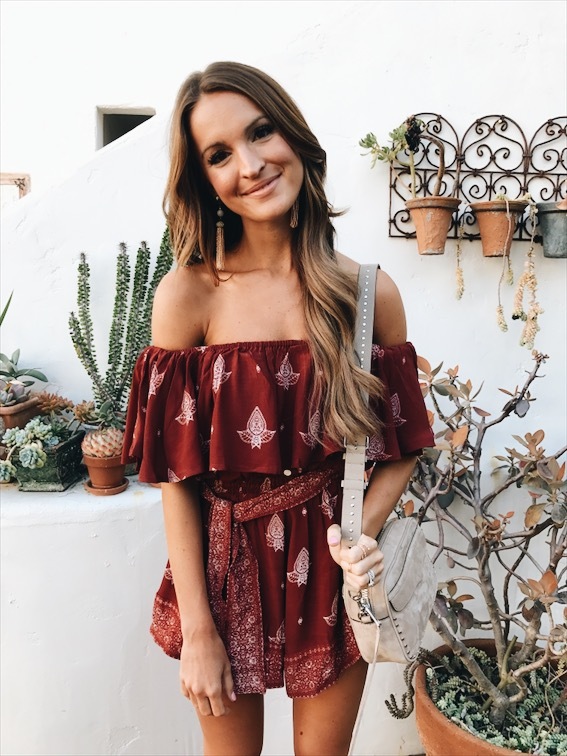 anthropologie // 20% off everything, including new spring arrivals! « 29 random things about me! Hi Lauren! Where are your sunglasses from in the pic with the olive/white outfit combo. Look like Ray Ban but don’t see them tagged. Thanks!